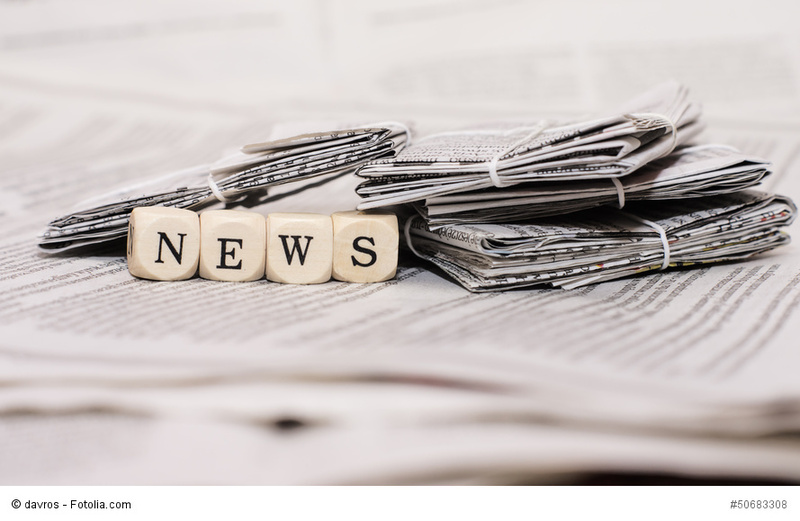 Definition: A newsletter is a periodically published document that informs, reminds, advices, advertises or communicates news and data on a specific topic. It can be either printed or have electronic format. Electronic newsletters are also known as Email Newsletters or eNewsletters and they are an excellent means for communicating with small to large audiences. In short, a newsletter is an advertising instrument that provides companies with the possibility to improve their corporate identity and public perception, thus increasing sales. How Does a Newsletter Work? The promotional newsletters are free and should be used to motivate consumers to react to an offer made via direct mail or email. A well-written newsletter builds trust and confidence on a company and a brand. Each article within it should answer the five basic questions – Who, What, When, Where, Why. A promotional newsletter can increase your image with prospective and presented clients. By providing valuable info in a professional layout, the readers will recognize you as an expert in your field. Why Should You Write A Newsletter? If written well, newsletters can be more far-reaching than an article or radio program. You are your own editor, being able to determinate the number and length of your articles, the content, what pictures you use, how many graphics. You can target your information and deliver quality content to the readers. Newsletters are thematic writings; therefore most of the information revolves around one central idea. Newsletters are great advertising means, and efficient reminders. As magazines, they are periodical, so you can contact your clients at regular intervals. The reader can keep them for future reference. This is probably the hardest part and also the reason why many companies hire professional PR agencies. Know your audience – this is the first and most important rule. That means knowing their interests, their comprehension of the area under discussion and their reading level. Once you know what your public is interested in, don’t deviate from the subject. You can get your ideas from personal contacts, phone calls, competition newsletters, press releases (see how many times a press release was downloaded – many Internet outlets provide such information), newspapers, television reports. Write clear, concise and interesting news. Keep your readers up to date. Include in your newsletter testimonials from some of your clients. Underline their success and your role in it. Research what the market needs and plan ahead what articles you are going to write. This way you have enough time to collect ideas by talking to your clients or from other sources. Make a connection with your reader. Use a personal approach – this is how you develop a trustworthy relationship with your clients. Clients need to feel that behind a business there is a person. Write your newsletter as though it was going to one individual directly from you. Be self-aware and don’t exaggerate when describing your business. Draw your reader into the article by using words that sell, and don’t mislead your readers. Avoid telling your company provides the best services. Try instead to underline what benefits the client can get when choosing your products. Self-critique shows you are aware of your borders. There are always borders nobody is perfect. If you made a mistake, admit it. Don’t lie to your clients. Humor can help you get to the heart of the reader. Yet, don’t exaggerate. Use it carefully. Many people have no time for clowning around. You wouldn’t like to lose the essence of your message. Sarcasm is very easy not to be taken figuratively when written on paper. Try to avoid jargon. People are not supposed to learn the specific terms of your business just to please you. You have to write for them and not for yourself or your staff. Use white space or graphics and photos to break up the page. Don’t exhaust your readers with too much text. Read the text out loud. Does it sound good? Do the sentences flow easy? Than your readers will feel the same about it. Have someone else to read it too. Try finding an impartial person. Accept criticism. Don’t use the ones who tell you that it is great. They aren’t helping you. Ask the person who finds the errors and makes suggestions. Publish the newsletter regularly – this is how the readers will come to expect it. Don’t lose your credibility by failing to deliver. Be aware of copyright restrictions. When you use quotes or texts written by others, give credit to these people. Do not spam. For printed newsletters choose quality paper and good resolution photography and graphics. If possible, do it on recycled paper – help saving our environment. Carefully develop your team and set their tasks. If you work with designers and writers, be sure there will be harmony between image and content. You cannot display a picture of a duck when you write about a swan. Stick with the schedule. If your readers are waiting for the information they will be disappointed when they don’t receive it when expected. Be consistent in the layout. Consistency is the key to building a reliable image. The biggest problem is not the lack of writing skills, but a lack of editorial judgment. Can a Professional Do Better? Well, yes! Designers and PR consultants are familiar with the market trends and have professional knowledge. They have the know-how and the means to research customers’ preferences in a short time, bringing relevant information. They are familiar with the design guidelines for newsletter usability: subscription interface, newsletter content and presentation, subscription maintenance and unsubscribe options, differentiating the newsletter from junk mail. They can improve newsletter usability. They are able to promote relevant content. They know how to write catching headlines. Sending promotional letters consistently shows that your company is not stuck in one place. It’s as dynamic as the world is today, you follow all recent changes, adjust and adept. Newsletters suggest that you always have some news to share, meaning that you are on top of things and not legging behind. When there are constant updations in website, the newsletters becomes a necessity for information to the masses. It is very essential to know your audience clearly and their interests before writing any promotional newsletter.